Mobile app Chikoop, which allows advertisers to place ads on free voice calls, has raised seed funding from two Indore-based industrialists. The new funds will be deployed for expanding the team, enhancing the product and improving user acquisition, Neeraj Sharda, co-founder, Chikoop told Techcircle.in. He, however, declined to reveal the exact amount of funds raised or the names of the investors. The startup is currently in an advanced stage of talks with multiple investors to raise its second round of funding. 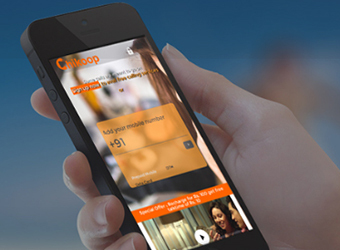 The Chikoop app, run by Positron Internet Pvt. Ltd, offers unlimited calling through free internet and provides audio marketing solutions to brands. The ads are played out to the caller at the beginning of the free call. The startup claims to have nearly 15,000 users for its free calling service and has onboarded more than 10 brands, including grocery, foodtech and payment solutions companies, for its audio marketing solutions. "As a mobile marketing solution, Chikoop enables brands to market to their target audience by placing ads during free calls. Also, unlike offline marketing, brands can track leads, re-target interested audience, convert leads into sales and measure real-time analytics on clicks," said Sharda. The startup was founded last year by Neeraj Sharda, alumnus of IIT Bombay and IIM Calcutta, and Sudhanshu Goyal, an IIM Calcutta alumni. Sharda has previously worked with Bain & Company and Tata Strategic Management Group, while Goyal was earlier with Zee News and Adani Group. The company is currently being mentored by Brand Capital, the ad-for-equity arm of Bennett, Coleman &Co. Ltd (BCCL). In March this year, advertising-technology startup Proximit Media India Pvt. Ltd raised $150,000 (Rs 1 crore) in early-stage funding through crowdfunding platform 1Crowd. In February, it was reported that Ratan Tata is likely to invest an undisclosed amount in the Bangalore- and San Francisco-based mobile advertising platform InMobi.